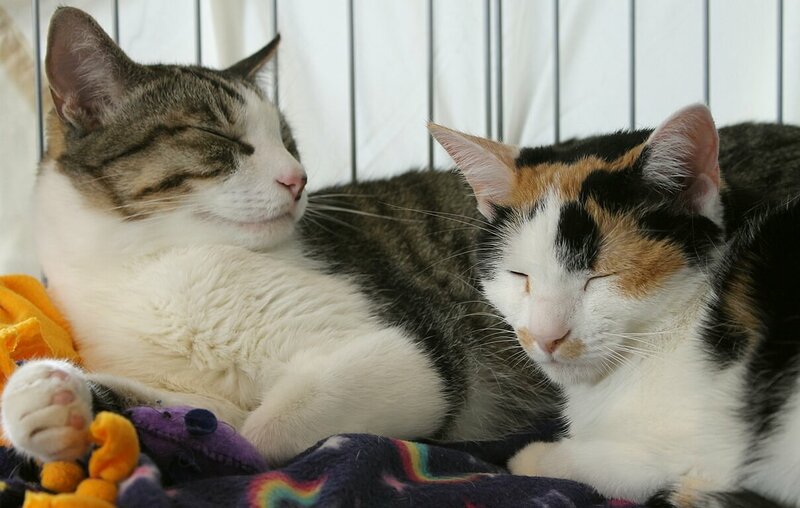 Kitty (top, tabby with white) and Willow (middle, calico) are a brother and sister bonded pair who have been together pretty much their whole lives. They are around 3-4 years old, and are ready to find their new forever family together! This pair of sweet kitties is the purr-fect balance. Kitty is a little bigger, braver, and extremely curious! He’s the first one to check new things out and will often meow for attention and playtime — new people don’t bother him! Willow is just slightly on the shyer side, and is happy to let her brother go on ahead and check things out while she waits patiently for pets to come to her. She is slowly starting to show more and more of her personality here at Pixie, and it’s clear that her brother has really helped her to come out of her shell. 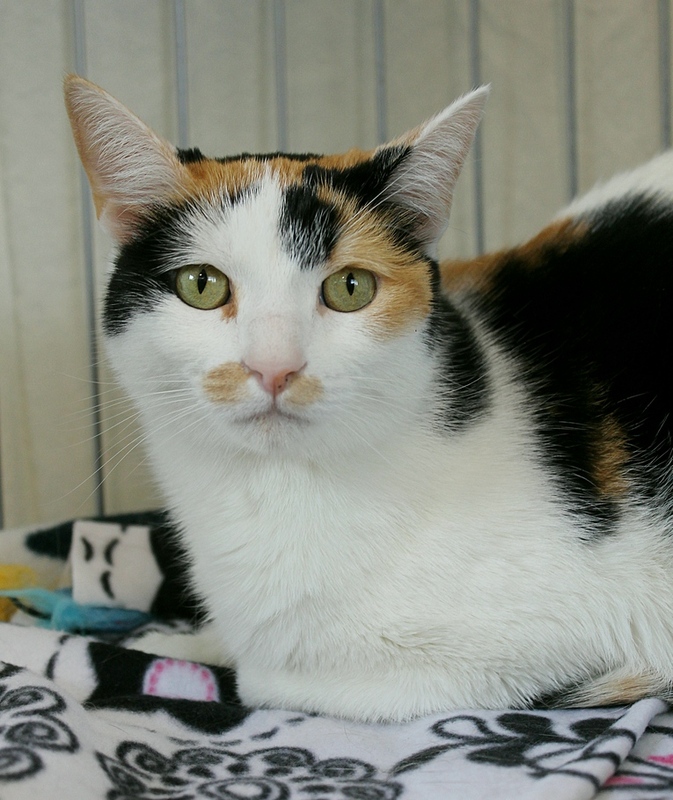 She is extremely gentle and petite, and loves to snuggle up with her brother and on laps. 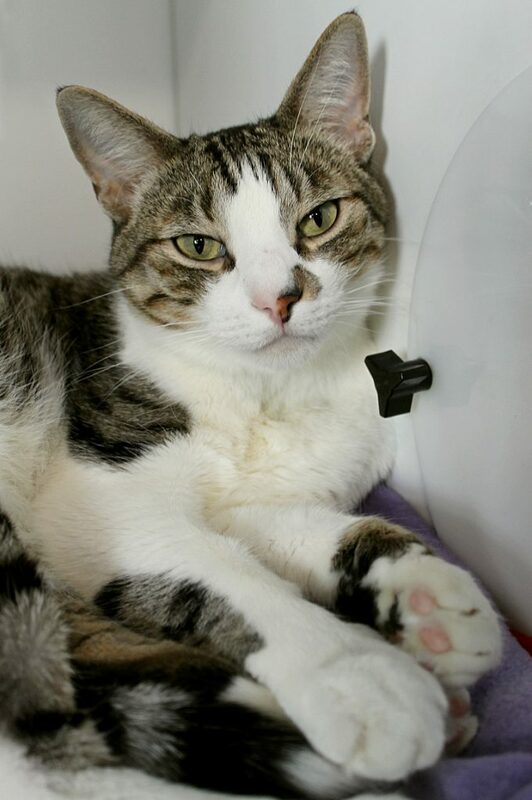 Both would do well in a home without too much noise and activity, but are definitely sweet enough and confident enough to live with respectful children and other animals. They are beautiful kitties and will provide the best of both worlds — a rambunctious, playful, confident boy and his quiet, snuggly sister. What more could you ask for? Stop by Pixie to meet them today! These kitties are bonded and come to you fixed, vaccinated, and micro-chipped for a combined adoption fee of $180.